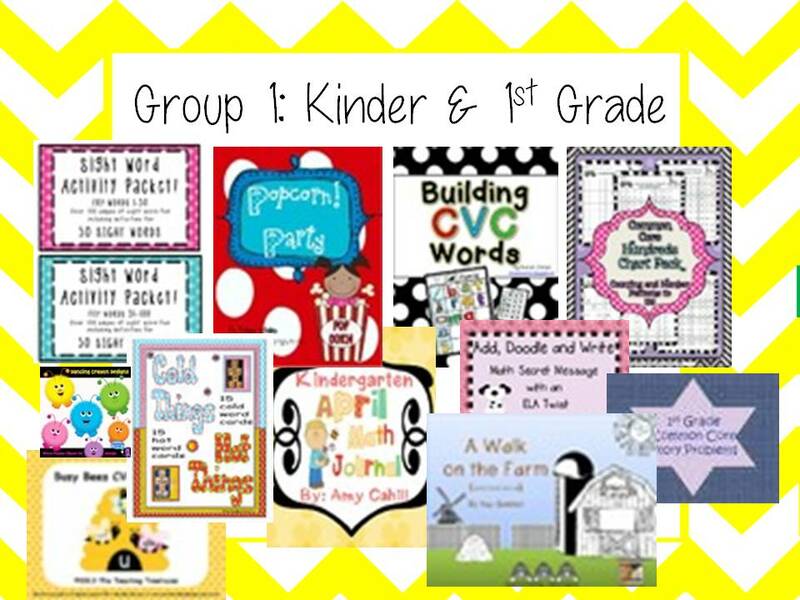 A few short months ago I decided to join the adventure and start selling items on TPT. Then a few weeks later I joined the blogging world. I have hit some major milestones in the past months and I am beyond excited! 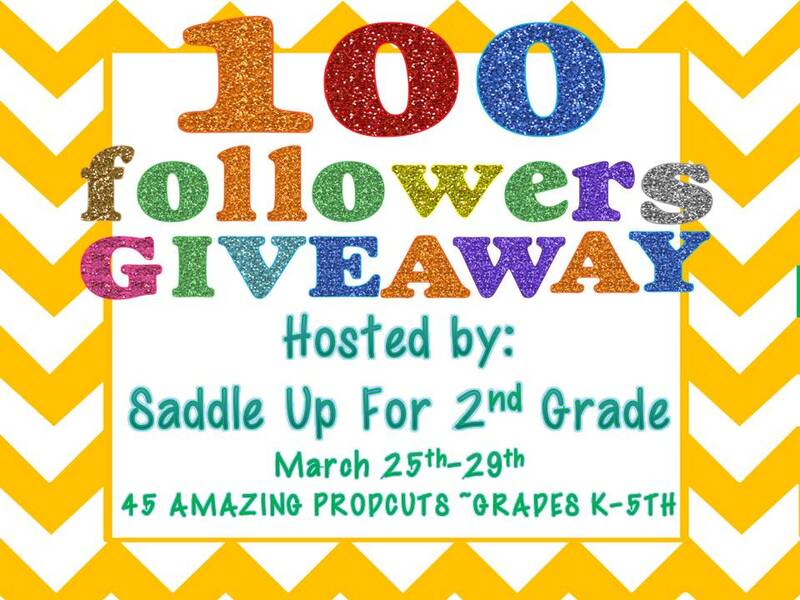 I have reached 100 followers on my blog and my TPT store! I feel so blessed. I wanted to thank each and everyone of you for your amazing support. You are truly AWESOME! In honor of these milestones I’m FINALLY hosting my 100 follower giveaway. 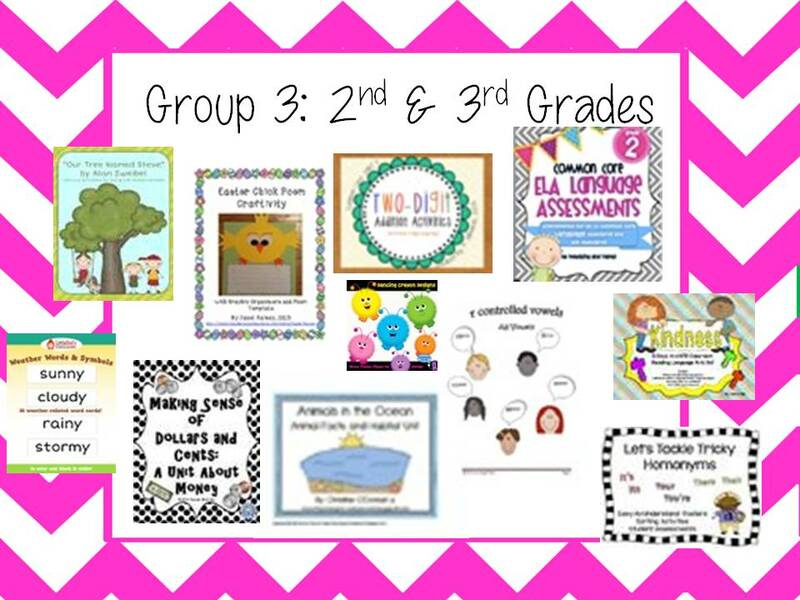 Group 2 features 14 AWESOME 1st & 2nd grade units! 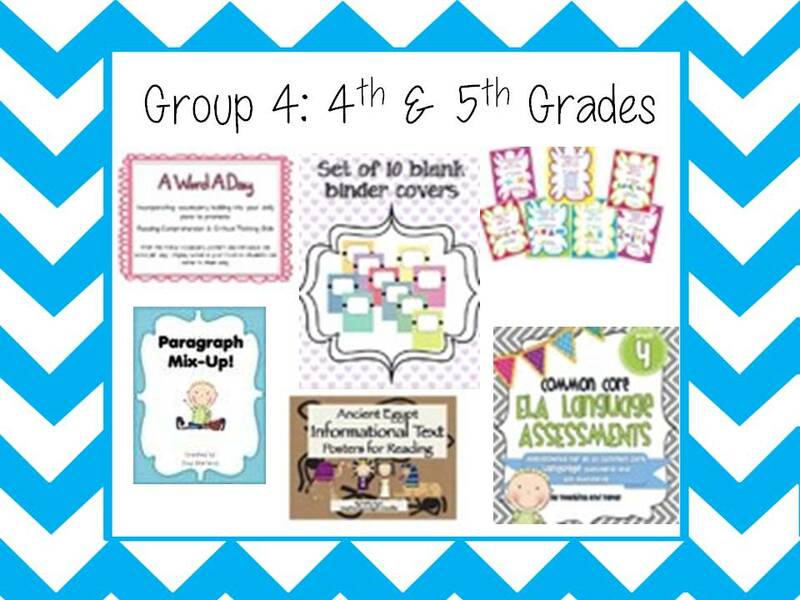 Group 4 features some GREAT upper elementary products. 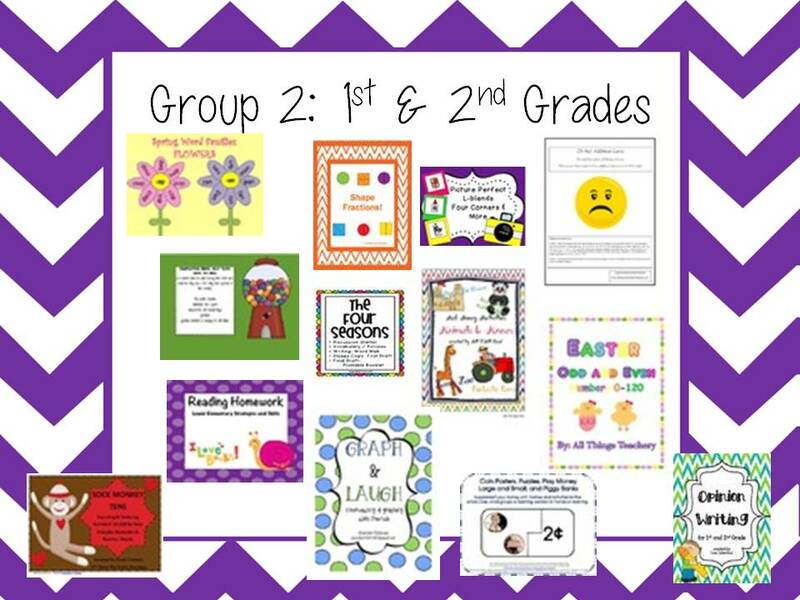 It also includes some super cute binder covers for classroom organization! This giveaway will run from March 25th – March 29th at 10:00 pm. Thank you again for all of your support. You ROCK!